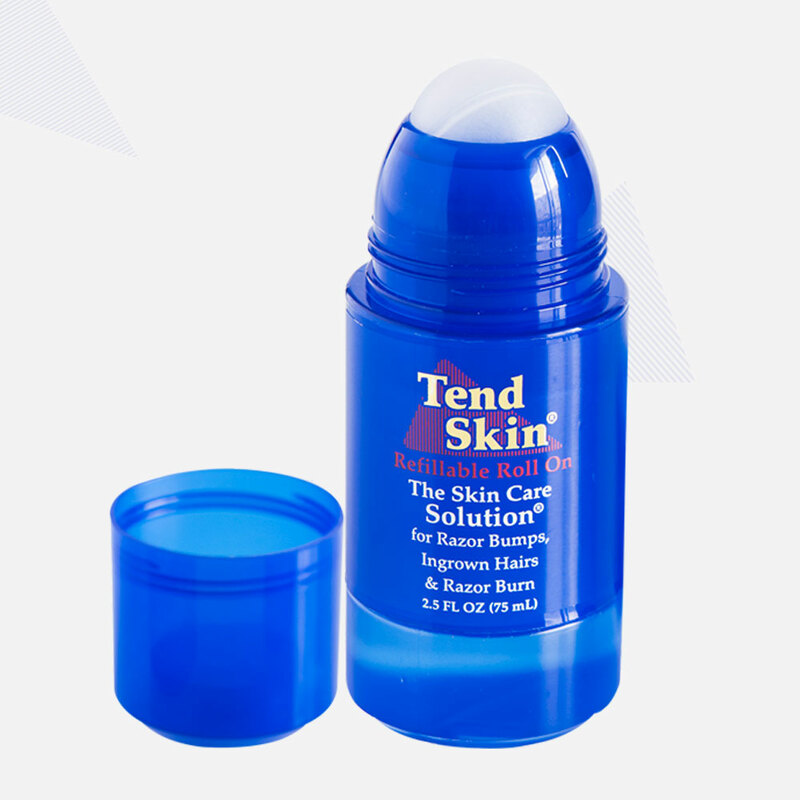 Since Tend Skin® Liquid first hit the market in late 1994, customers have asked for an easier way to apply it to the skin. Since Tend Skin® Liquid first hit the market in late 1994, customers have asked for an easier way to apply it to the skin. Using a cotton ball to apply the product wastes a lot; the cotton ball tends to fall apart and the fingers start to peel a few days later. The search for an acceptable system was hampered, because we could not find a package that would ship or be useable without leaking. After 911 we started getting requests for an "airline legal" package to avoid confiscation when taking the product on a flight We tested many systems and finally found a quality package in 2008. Our new package is a 2.5oz refillable "roll-on" with an improved formula. The package has four parts; a reservoir that holds the product, a roll-on ball sleeve into which the product reservoir screws so the roll-on can be used, a cap that tightly seals the reservoir during shipping, travel and while it sits on a shelf waiting to be sold, and a cap over the roll-on ball.